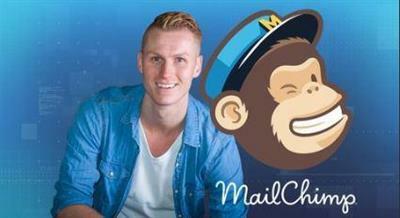 In this complete Mailchimp 2017 Tutorial I will teach you step by step how to get started with Mailchimp. I show you how to sign up for free for Mailchimp, how to create an emaillist, manually add people to that list, use sign up forms to let people opt in to your list, adjust the confirmation and welcome messages/pages. In this Mailchimp Tutorial I show you how to sign different kind of sign up forms. The sign up form from Mailchimp. An embedded Sign Up Form. A free Sign Up plugin for Wordpress websites. After that I will talk about creating an email template that will save you time when you want to send an email to your list. I will show you how to create an Email campaign (iow: Send a mail to your mailinglist). How to do A/B Split Testing to see which email converts better. I will show you how to link your blog with Mailchimp in order that your complete email list will get an email when you placed a new blogpost. And I will talk about the reports of Mailchimp. Who opens your emails, who clicks on the links in the emails etc. Please like the video!